If you’re reading this, chances are you’re one of over 1.59 billion people worldwide who uses Facebook. The social networking giant isn’t showing any signs of slowing down, with an average of five new profiles created every second and 300 million photos uploaded daily. Because Facebook is such an integral part of people’s lives, the very thought of giving it up can be terrifying. But what if you wanted to step away? 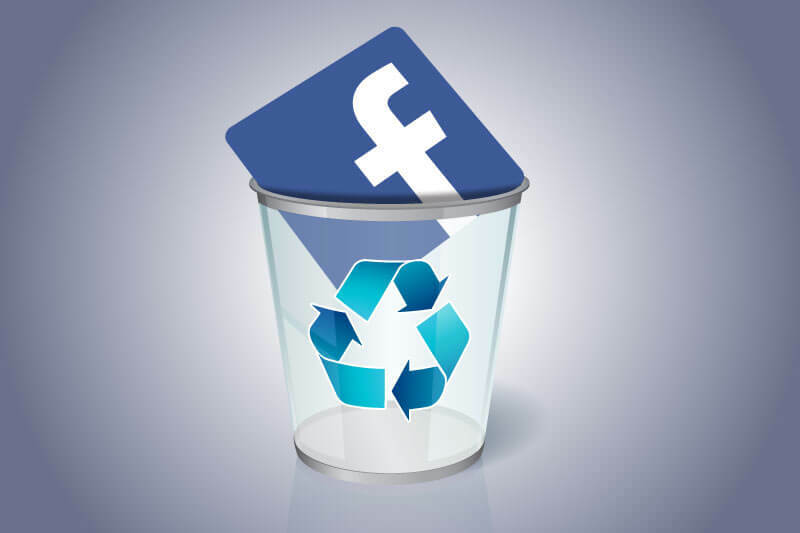 Well, for those of you who are bold enough to sacrifice Facebook for a little more internet privacy, this tutorial will teach you how to permanently delete your Facebook account. Note: You cannot reactivate a deleted Facebook account. If you only want to step away from Facebook temporarily, you should deactivate your account instead. Have you ever stopped to wonder how private Facebook is? What steps do they take to ensure your privacy? Information surrounding content: Facebook collects information about the content you create and share while using their services. This also includes information in or about what you share and who you share it with. Similarly, if someone shares information about you (e.g. a photo of you), Facebook collects that too. Payment information: if you complete a transaction through a service owned by Facebook, your payment information (e.g. card number, billing address, etc.) will be stored by Facebook. Advertising: Facebook will use the information gathered about you to show you targeted marking communications and promotions. Sharing to third parties: Facebook works with a range of third-parties, which makes it possible that some of your data will be given to them. For example, if you play a game that uses a Facebook sign-in, the game developer will get access to information on your Facebook profile as well as data about your interactions with friends in the game. Personalize your experience: Based on your interactions on Facebook, the platform may suggest different events for you to attend or different people to connect with. In a word, yes. Facebook does allow you to manage the information you share. But the best form of defense against privacy breaches is a vigilant mindset. Before deleting your Facebook account (forever! ), you may want to download your info first. Step 1: Go to https://www.facebook.com/settings. Step 2: At the bottom of the page, click Download a copy of your Facebook data. Step 3: Click Start My Archive. Provide your password when prompted. Once you’ve completed the process, Facebook will email you your personal archive when it is ready. Step 1: Go to https://www.facebook.com/help/delete_account. Step 2: Read the information provided then click Delete my account. Step 3: Complete the verifications required, then click OK.